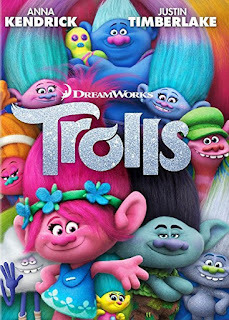 However, (and this is where the holidays come in) they only eat trolls once a year, on a holiday called Trollstice. Other than being a pun on solstice, Trollstice has very little in common with Christmas though. There is one very early scene in which the bergen prince wakes his father on Trollstice morning that is obviously a reference to Christmas, and they all gather around a giant tree (where the trolls live), but that's all. 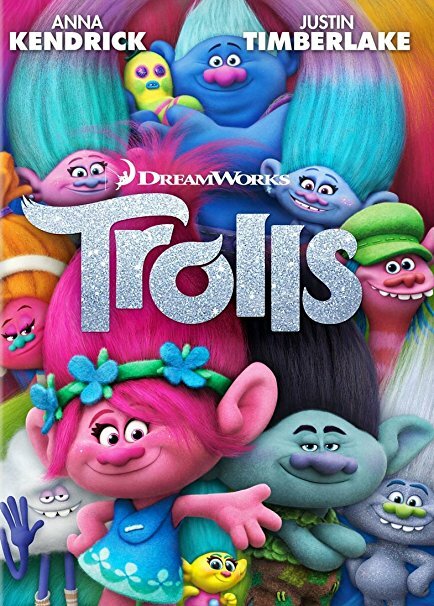 The rest of the movie is adequately summed up quickly: trolls escape, years later are found and captured, troll princess and her pessimistic friend break in to save everyone and eventually teach the bergens to find happiness within themselves by befriending a bergen who is in love with the young king. Interspersed with lots of singing. Some of the songs were written for the movie, but they sound so much like generic pop music that I couldn't tell you which ones. Most of the music feels haphazardly stuck in and doesn't affect the plot. 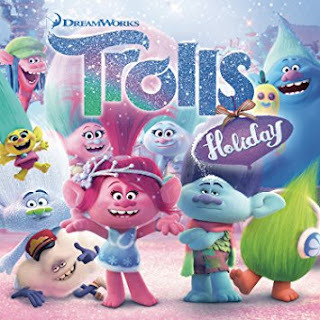 She misunderstands what the bergens will like in a holiday and tries to force loud troll-style happy-huggy-glitter celebrations on them, only to learn a lesson about listening to your friends. The bergens eventually decide on a more general Christmas-style holiday of goodwill and friendship and everyone celebrates together. Despite some weird surreal sequences, I thought the writing on this was much tighter. The use of music was also more appropriate and thematic; overall it just worked better for me. We're always looking for quality programming that deals with the solstice, but we just got a glimmer of possibility here, not anything truly inspired.